Click the ad to shop! Grunge & Glitter store sale!! A designer is in serious need of your help. Grunge and Glitter has her entire store up for sale for only $25. Head on over to her blog here and check it out. For a very worthy cause you'll walk away with a real bang for your buck! 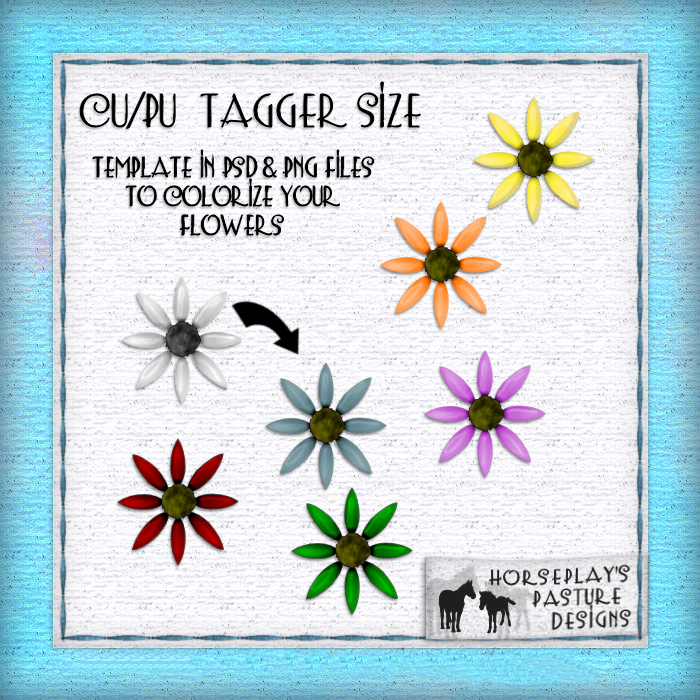 4 different style Personal Use tagger size table napkins in PSD grayscale files. Recolor to suit your needs. Jazz them up using your brushes, patterns, overlays. Use your imagination and see that the sky's the limit and sure to add that extra something to your project. On sale now in both of my stores. Check out their exclusives and sales going on! on our newest sales, contests, coupons, and our newest items! My items can be found under HorsePlay's Pasture Designs. At the moment I'm in the process of changing over the previews etc. to my new designing name so you may purchase a product with my old name on it. Colored flowers and includes a template for you to colorize to suit your own needs. I'd like to thank those who have gently nudged me in the direction of designing. You ladies know who you are and I will be forever grateful to you for showing me another dimension to the photo program addiction and for seeing something nice in what I attempt to do. 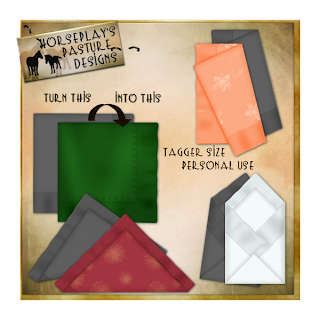 I originally started this new endeavor out at "Southern Whispers Designs", but as it's been pointed out to me by a few it would be better to stick with who you all know me as....HorsePlay's Pasture. Stick the word Designs on the end and this blog was created and another store opened! 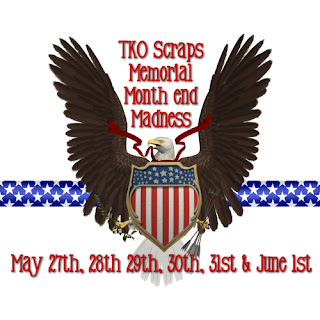 I am so totally thrilled to announce that not only do I sell at Lollipops n Gumdrops, I also have opened up a new store at TKO Scraps. Both stores are owned by awesome ladies and both stores are filled with equally awesome designers. Be sure to stop by each and check out all the super deals and sales they have going on! Just because I've decided to start designing doesn't mean I'll stop creating tags and writing tutorials. Oh no, not at all. That's my real passion - using all that brilliant talent out there, so please be sure to stop by my tutorial blogs often as well....HorsePlay's Pasture (main blog) or HorsePlay's Pasture Tutorials.